Bruce Murphy loves horse racing and is always trying to find ways to enhance the sport. At the conclusion of last season, it was unclear who would take over the tack shop on the backstretch following the passing of “Big Jim” Duncan. So Murphy decided to buy the business and relocate to the permanent tack supply building on the backstretch. As a result, Backstretch Supplies emerged and with a little renovation, the business is thriving at Indiana Grand. Murphy implemented some facility changes and created one big room to accommodate more inventory, offering everything from hoof packing and ointments to saddles, bridles and boots. 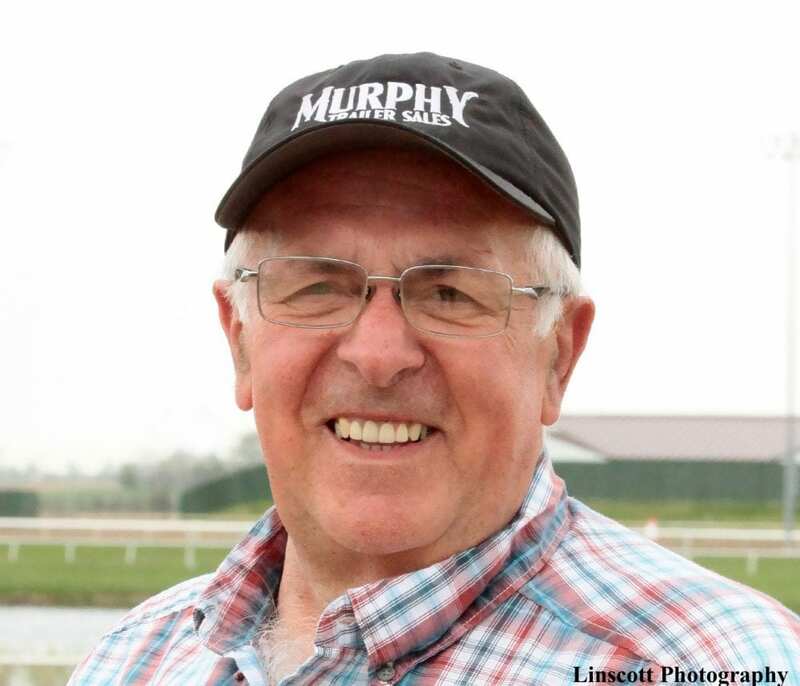 A horse owner himself, Murphy understands the need for accessible supplies for those stabled on the backstretch and those shipping into race and has provided a great venue to accommodate all types of horsemen racing at Indiana Grand. Murphy has his finger on the pulse of the backstretch workers and wanted to reward those who work so hard to care for the horses and race them each time they head to the paddock. Therefore, he has created “Groom of the Week” for the month of June to provide incentive and payback to those who go the extra mile to prepare their horses for the races as well as work to make themselves presentable as the “best dressed” grooms while they are visible on the television feed that expands across the United States. Murphy has identified the judges for the contest, who will watch the grooms from Saturday through Friday each week in June. The first award will be presented Saturday, June 2 and will continue through the five Saturdays in June, rewarding the chosen groom with $100 in cash. Judging for the first week's selection will begin Saturday, May 26. Murphy has long been associated with horses. He showed Quarter Horses for decades, getting involved when he was 19 years old and eventually was drawn to Thoroughbred racing. He has owned racehorses for the past 15 years and currently is one of the primary owners for trainer Genaro Garcia, who was crowned leading trainer at Indiana Grand in 2017. Murphy has several collaborations with other owners and his partnership with Garcia's Southwest Racing Stable is currently leading the standings as the top owner for 2018 with six wins through the first 21 racing programs. Murphy is the longtime owner of Murphy Trailer Sales in his hometown of Crawfordsville, Ind. He has graciously supported many causes over the years, including the donation of a utility trailer for Jockeys and Jeans held at Indiana Grand in 2015. The organization travels to different venues each year to raise funding and awareness for the Permanently Disabled Jockeys Fund (PDJF) and Murphy wanted to give back and support the cause as it made its way to Indiana. Murphy Trailer Sales offer everything from horse trailers, livestock trailers, utility trailers, flatbed trailers and sales and parts. They have been going strong since 1984 when Murphy established the business in Linden, Ind. before moving to their current expanded location in Crawfordsville in 2003. “Groom of the Week” is just the latest way that Murphy has found to give back to the industry he loves so much. Grooms involved with both Thoroughbreds and Quarter Horses racing at Indiana Grand are encouraged to put their best foot forward with hopes of receiving the weekly award in June. All winners will be recognized in the winner's circle each Saturday in June with the $100 prize money provided by Backstretch Supplies. Backstretch Supplies is open every day except Sunday at 8 a.m. The store closes at Noon on Monday and Thursday, which are non-racing days, and closes at 4 p.m. on Tuesday, Wednesday and. Saturday hours include an extended afternoon session with the store opening back up at 2 p.m. and closing at 7:30 p.m. The 16th season of Thoroughbred and Quarter Horse racing continues through Wednesday, Nov. 7. Racing is conducted Tuesday, Wednesday and Friday at 2:05 p.m. EST with Saturday racing beginning at 6:05 p.m. EST. Two special Thursday racing dates will be held July 19 and Sept. 6 with a 2:05 p.m. EST post time. This entry was posted in People and tagged backstretch supplies, backstretch workers, Bruce Murphy, grooms, Indiana Grand, indiana racing by Press Release. Bookmark the permalink.